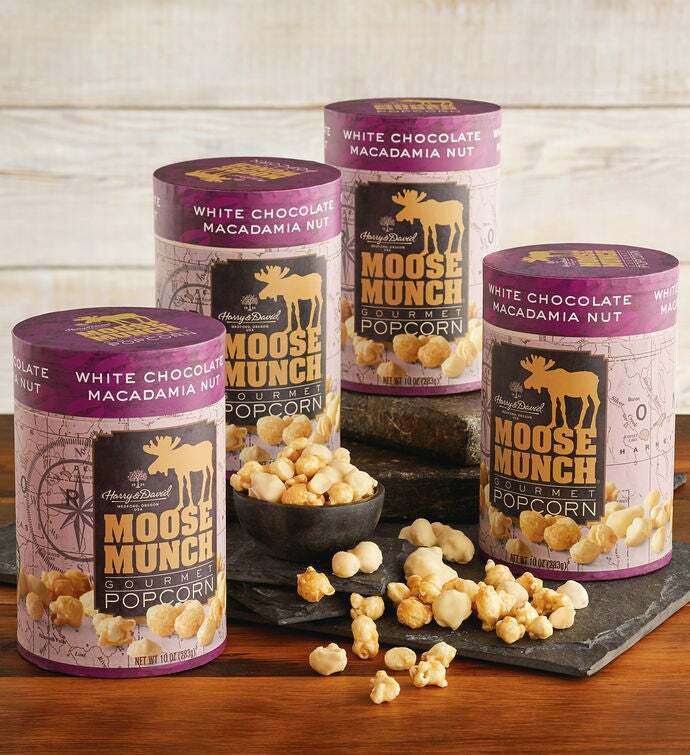 Enjoy our bestselling Moose Munch® White Chocolate Macadamia Nut Premium Popcorn. This crunch-anywhere snack is a handcrafted, trail-ready treat that can be enjoyed any time, with anyone. 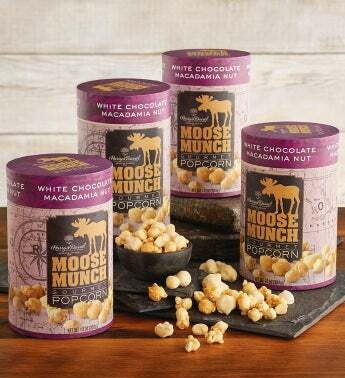 There's no better way to share the flavors of gourmet popcorn, real butter, creamy white chocolate, and roasted macadamia nuts than with four bags in a limited edition set—give a bag to friends, family members, or coworkers to share the delight.